Added on May 20, 2015 by Paul Mullins. My first experience in this wonderfully serene place was with a friend and previous attendee of last years Fall Yosemite workshop, Todd Reed. He asked me out of the blue if I would be interested in going to Bryce Canyon. Well I ended up going this last weekend and WOW the inspiration one gets from this place is off the charts. There is so much to see that you have to force yourself to slow down and experience this ever-changing drama unfolding before your eyes. Walking the rim at dawn creates an ever shifting perspective and seeing your compositions change with every step. The morning sun cast slowly changing hues and shadows that demanded my full attention. For me I saw the light as the driving inspiration. At times reflecting off the fin walls lighting the hoodoos with a soft light and also wonderful textures created from side and back lighting. Shooting from the rim I found that I kept my 70-200 mm lens on the whole morning just isolating subjects that caught my attention. Bryce has great dark skies for new moon night time photography. Todd and I scouted for a location that had an interesting foreground and at the same time could shoot looking southeast revealing the Milky Way in the background sky. The Rainbow Arch made for our best choice. We arrived at the location around 1:00 am, there were a few clouds that threatened to postpone our efforts but cleared enough to reveal the stars. I brought along my LED light panels with warming gels and also had a Ultrastinger flashlight ready to do some light painting. My exposure was ISO 3200 for 20 sec. at F2.8 so you don’t have much depth of field at a 2.8 aperture. I have found it difficult in the past to get an accurate focus in the dark so that afternoon I found the focus for infinity on my 17mm lens and taped it down with some gaffers tape. We were out there by ourselves, not another soul for miles, unlike my experience several weeks ago where there were 120 photographers lined up at the base of Yosemite Falls shooting the moon bow at night. I hope you enjoy a few of the images I made from this amazing trip. And Todd, Thanks again for asking me to go. 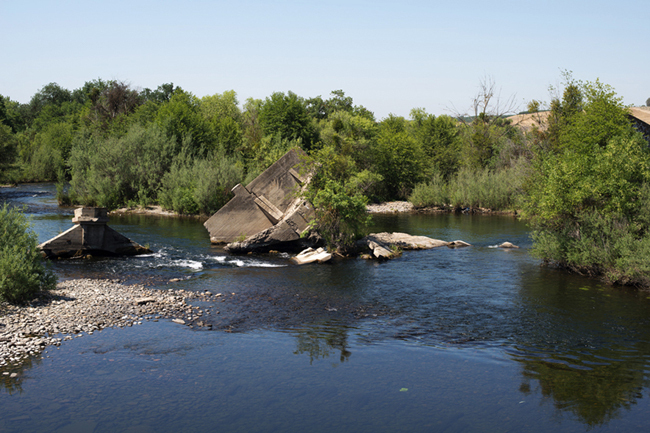 Added on May 15, 2015 by Paul Mullins. We just wrapped up our Spring Yosemite Workshop, the dogwood were in bloom, the Moonbows were shining and the Tioga Pass road had just opened. but best of all was the friendships made. the chemistry was so positive and inspiring. Everyone went home with great images and new skills in being creative. There’s nothing quit like sharing an adventure with other photography fanatics that love finding those perfect compositions, being encouraged with good conversation, experiencing opportunities to express themselves with an image, and love learning new skills together in a non threatening positive environment. This is why you need to join us in one of my up coming photography workshops. Not only will I get you to the best locations at the right times of the day but you will discover how to really see with a new eye, not only your physical sight but also to begin seeing with your heart. I highly recommend that you invest in yourself. Paul Mullins is an excellent teacher and is well versed in his craft. His fall colors workshop is a once in a lifetime opportunity to see and enjoy all the beauty that God intended for us. You will be a better photographer and a better person for doing so. I was so glad to be a part of the workshop. I was inspired to take my photography to a higher level. Thanks for inspiring and helping me to approach photography differently then I ever have. By slowing down and really looking for that inspiration and then trying to communicate that while having fun, was most beneficial to me. Thanks Paul for the great time! Lot's of fun. Look forward to doing it again. Set your sights a little higher! Added on March 3, 2015 by Paul Mullins. Sometimes you just need to get that point of view up a little higher. Like in this image, that I just made for DuPont of these almond trees at sunset, I wanted to see the rows vanishing back to the foothills from above the trees. Renting a Man Lift for $500.00 a day is sometimes out of the budget, and using a drone or helicopter for a long exposure, low ISO, still shoot, at the end of the day when the light is low would be out of the question. Well I found something that's really cool, a 24 foot high tripod that you control from your phone, IPad or computer with a wifi connection. It works wonderfully because you can control your camera's ISO, white balance, shutter speed, aperture, focus and even move the motorized panning tripod head all from the Camranger app. It even allows you to use the cameras live view for composing the image and focusing on an area that you select. I've just started using this system for my commercial and architectural photography and am looking forward to taking my fine art landscape work to new heights. Added on January 12, 2015 by Paul Mullins. Several years ago my friend Josh Smith and I tried our first full moon photography together in Yosemite. At that time I was still using the Hasselblad H3DII camera which only had a usable ISO of 800 and a max shutter speed time of 30 sec. Which was about two stops short of the exposure you need to get a moonlight image correctly exposed. But never the less we came home with some fun shots of the moonbow at Yosemite Falls and several other images of the valley. 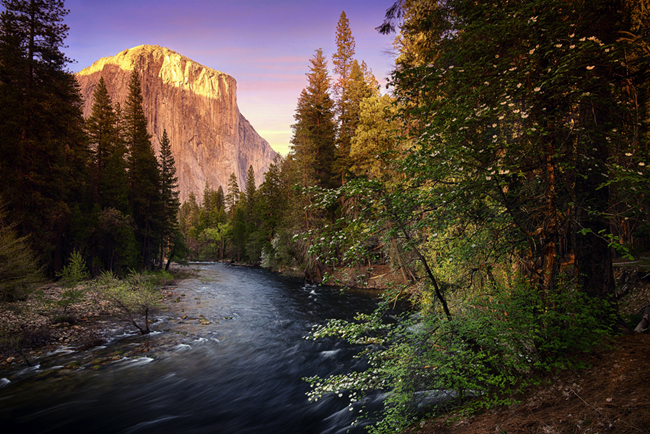 It just so happens that my Spring Yosemite photo workshop (May 2nd - May 5th) falls on a full moon and the atendeees will be spending some time making images using these night time techniques. New Year's Day I made a trip to the Alabama hills, which is located near Mount Whitney, to make two images that I had been thinking about doing for some time. I wanted to shoot both the Möbius and Boot Arches in the moonlight. I spent my first day there just scouting my locations and making only sketch images, then came back the next night to capture the final two shots. It's nice to take the pressure off yourself to come home with lots of photographs, which most of the time are just Ok, and slow down, spend the time to experience your location and make that one or two images that really express how you felt. It's best to shoot when the moon is at it’s fullest but you can still make good photos a few day's before or after. Also the clear skies after a cold front will give you more light to work with. Cloudy skies will add mood and drama to your image so don’t shy away from overcast conditions. Also think about the direction of the light cast from the moon, it can add to your story and composition. Two Apps are helpful in determining the location of the moon, it's size and when it rises and sets, Light Trac and Star Walk. Today's high ISO cameras have no problem capturing images using the moon as a light source, I use the Nikon D800e which has now replaced my Hasselblad H3DII. When shooting at night you still want to use the lowest ISO that will still give you the aperture and shutter speed to get the job done. It goes without saying you need to be using a good tripod for these images. One thing that I learned from this shoot is to keep the exposure for the sky under 15 seconds if you don't want to get the small trail from the star movement. You can shoot two images and latter merge them together in post. One using f/2.8 (or your lenses largest aperture) with focus at infinity to capture the sky and then make another exposure with an aperture that gives you the depth of field for the landscape that you desire. With a wide angle lens you don't need to stop way down but can usually keep everything in focus from eight feet to infinity using an aperture of around f/8. Another technique that you can use is focus stacking, I won't go in to detail on that now but will share this in another post. If your shooting water that is moving, that longer exposure will give you a very smooth and soft feel. When you are using a shutter speed of 30 seconds, one extra stop makes it a 60 second exposure and so forth, it adds up fast. So if you wanted to do some light painting stop the lens down, drop the ISO, or add a neutral density filter and go for a really long shutter speed so you have more time to paint by moving your light around to various areas within the frame. With these long exposure times you will need a cable release that can be set to specific times. The EZA-N1 timer remote a good one that only costs around $20. Another option that I have is the CamRanger Wi-Fi controlled remote. You can use this remote with its software to control your camera with a smart phone, tablet or laptop (I use mine with my iPhone, iPad and Macbook). Along with shutter speed you can also control many other things as well such as aperture, bracketing, focus and ISO. It costs around $300. It’s very handy because you can be away from your camera and tripod when you release the shutter. In these images I used two portable LED lights (the Miniburst 256) that have a brightness adjustments to dial in just the right balance of accent lighting with the ambient moonlight, you would be surprised how low I had to adjust them. Also you can put color correction gels in the filter holder of these lights to season it to your taste. The boot arch image has one light placed inside of the arch pointing up and the second light was placed to the left behind the large rock so it was hidden, it's aligned with the direction of the moon's light to blend in and create the look of one light source. Both lights are tungsten color balanced. On the Mobius Arch image I also used two lights, one to the far left side with daylight color balance and the other pointed into the arch from behind with a tungsten color balance. The area in which this arch is located is very isolated from other people at the north boundary of the Alabama Hills, I felt the open vastness of space and the solitude of being alone by myself. The eastern side of the Sierras covered in snow was an element I wanted to have running horizontally the full length of the frame separating the sky from the foreground but still having the arch break above the horizon would give the arch the attention I wanted. 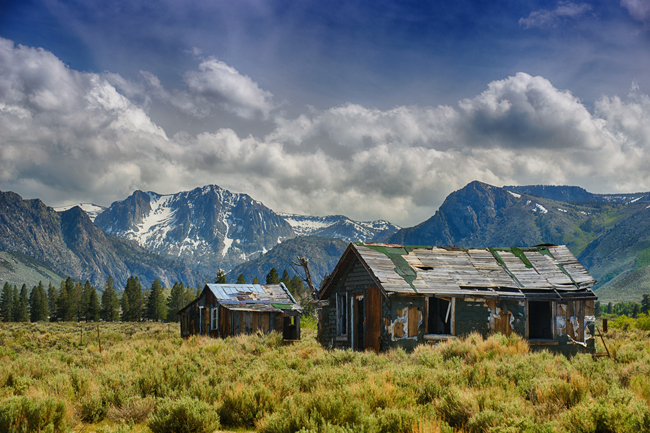 Finding the right distance from the arch was very important, being too close made the Sierra Mountains disappear in some areas behind the foreground, then selecting the right focal length lens that would frame the image where I wanted it from side to side, and then cropping out some of the foreground made the image fell panoramic. This area is very popular and even has it's own marked trail to the arch. When I scouted this area it was apparent I had to be fairly close to it because of the terrain, about nine feet away. I wanted to see mount Whitney thru the arch so I was very limited to moving around to much. So I pulled out my widest lens, the 14-24mm and found that it was perfect at 14mm, it still included quite a lot of the background that I wanted to the right. Using the warm tungsten light inside the arch would draw the eye where I wanted, bringing attention to the arch and Mount Whitney. In post production I used various luminosity masks and adjustment layers to enhance the exposure and saturation. Also I reduced the noise in the sky area and sharpened the foreground. Also I darkened the foregrounds to keep your attention on the subject. I have included both raw image files for you to see how they started out and then their adjustments in Photoshop. The möbius image was shot at ISO 4000, f/10, for 30 seconds with a 14-24 mm lens at 14mm. It was captured with a very nice exposure with more info in the lights without blowing any highlights. The Boot Arch was underexposed by about one stop (ISO 1600, f/9, for 30 seconds using a 24 mm lens) but I was able to bring it back where I wanted it in post. This was a blast to shoot and I know I will be doing more moonlighting with my photography. Added on May 29, 2013 by Paul Mullins. A good friend of mine, Josh Smith and I found the well traveled trail to Upper Cathedral Lake and started our way up the hill on a three and a half mile trek to one of the most spectacular lakes in the Yosemite's Tioga Pass area. We wanted to capture the last light of the day as the sun hit Cathedral from the West with beautiful side lighting and then return back under the full moon with the aid of head lamps. Upper Cathedral Lake was a great start to our Memorial Day weekend photo trip. I am really loving working with my new Nikon D800E camera. The resolution and detail is so similar to my old Hasselblad but it is about half the weight! Also I used a great new backpack that arrived the day before we left, the F-Stop Tilopa BC, perfect for day hikes with room for extra food and gear. Added on May 21, 2013 by Paul Mullins. The last week has been very bittersweet for me as I came to the end of my Hasselblad era. I have been using what I consider to be the world’s best camera, the Hasselblad H3D II 39, for the last six years. With it I have produced some of my all time favorite images for my clients as well as for personal work. Last week, I decided to sell my Hasselblad system on EBay. Now if you don't know, this camera with 3 great lenses cost me close to $40,000 six years ago. When I first bought the H3DII I was completely obsessed with it! I wouldn't leave it at the studio overnight, I had to bring it home and put it next to my bed when I would sleep to make sure it was safe. I was pretty obsessive and over the top! But the H3D II was the camera love of my life! It’s hard to believe it just sold today for four times what I expected to get for it, but four times less than I paid. Soon we are sending it off to it's new home in Las Vegas. I wouldn't have even considered selling it unless I was sure there was something worthy of replacing my beloved Hassy. I found it in not another $40,000 Hasselblad, but the 10 times less expensive Nikon D800e. The quality of images produced from both cameras are equally as amazing! Yesterday I took both camera systems out and did side by side comparisons using the same focal lengths, apertures and and ISO's. The Hasselblad has the same pixel count on the horizontal axis but more on the height. 39 megapixels compared to 36.5 megapixels. 16 bit depth vs. 14 bit, but the biggest pro to the Nikon D800e is the range of ISO. The Nikon goes all the way up to ISO 12,000 compared to Hasselblad's ISO 800 which I would never shoot at. To shoot the Haselblad above ISO 200 was something I never dared to do because of the intense grain. The images showed very little difference in sharpness when using Nikons best lenses at f8-f11, but the quality of the Nikon image at higher ISO is substantially better. Not to mention, it’s lighter and more compact and better for backpacking! This camera is the best camera ever! So now I have a new love in my life and am so excited about developing our new relationship. The new era of my camera upgrades has begun again and I’m looking forward to seeing what camera the next 6 years brings me, without suffering a $40,000 loss. Below are some comparisons I did between the Nikon and Hasselblad. Look and see for yourself! This is shot with my new Nikon D800E using a 50mm prime 1.8 lens at f10 1/80. Here is the same image shot at ISO 800 on both cameras zoomed in even more. Below are some photographs I have taken using my Nikon D800e! Added on September 13, 2012 by Paul Mullins. Craftsmanship is the final "C" of the creative process. Craftsmanship can best be described as the "technical" side of photography. If you haven't read the previous posts on Communication and Composition I suggest you do so we can put all 3 C's together. The first installment on Craftsmanship is the importance of using a tripod. Two exposures were shot and combined for this photo. A 5 second exposure was shot for the sky and water, and 15 for the rocks in the foreground, both at f32. It is impossible to achieve the blurred water effect without a tripod, therefore it is vital that you use a tripod to capture longer exposures. I love using the Gitzo GT1541 tripod (a) with a Really Right Stuff BH-40 ball head (b). The carbon fiber Gitzo tripod is ultra light weight for when I go backpacking and the quality is unsurpassable! I reccomend you hang your bag or some kind of weight on the hook in the center of the tripod just to make sure it as stable as possible. I use a medium format Hasselblad H3D2 that weighs 8 pounds with the lens attatched and my tripod supports it perfectly. I have found it is pointless to waste money on countless cheap tripods when you can invest in a quality one that will last you a lifetime. The ball head allows me to rotate the camera smoothly to any angle I want only using one simple tightening knob. It is nice and compact as opposed to some of the bulky handles found on other heads. 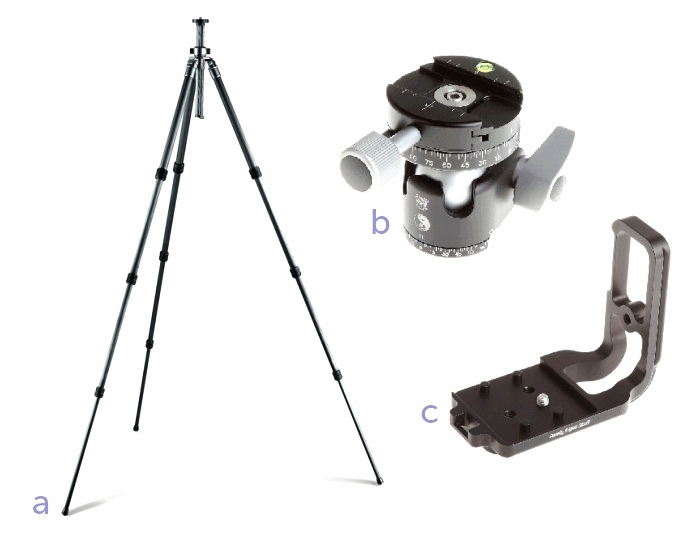 A fast way to attatch and detatch a camera to a tripod is to use the universal quick release clamp system. I attatch a L brackett quick release adapter (c) to my Hasselblad. It allows me to shoot both vertical and horizontal compositions while keeping my camera centered above the axis of the tripod. A tripod is a great essential tool and allows for careful, precise composition, stability and sharp images. Added on November 3, 2011 by Paul Mullins. Through these first few posts I will be discussing the three C's of creative image making: Communication, Composition and Craftsmanship. My first journal entry was about Communication and how we are inspired, this next entry will be drawn from the second category of Composition. Proper use of values is an often overlooked asset of photography. Seeing and understanding values can really give your pictures what it needs to take your photography to the next level. Simply think in terms of three different values. Dark values mid tone values and light values. You can see the use of values in both color and black and white images. Begin with a black and white photo to more easily see values in terms of black, gray and white. Ansel had 10 value steps in his zone system but I'm going to simplify it to 3 so we can see the impact this can have on your images. First, the most boring pictures are made up of a balance of 50% of one value and 50% of another value see example #1 below. To improve the image we will add in a mid tone value and break up the 50/50 symmetry, but now notice that the black and grey are the same amount and the two combined are the same as the amount of black. Example #2. But, still the gray and black make up half of the volume balancing the white. Rarely achieved but the most impactful, example #4 is the optimum for creating interest. Where all values are different and there is one that dominates. You can mix up any of the values with each other, it doesn't matter which is dominate, it could be white or it could be gray as well, but the value with the least amount of volume will become your subject. To make your subject stand out you make it the value that is the least amount of the three. 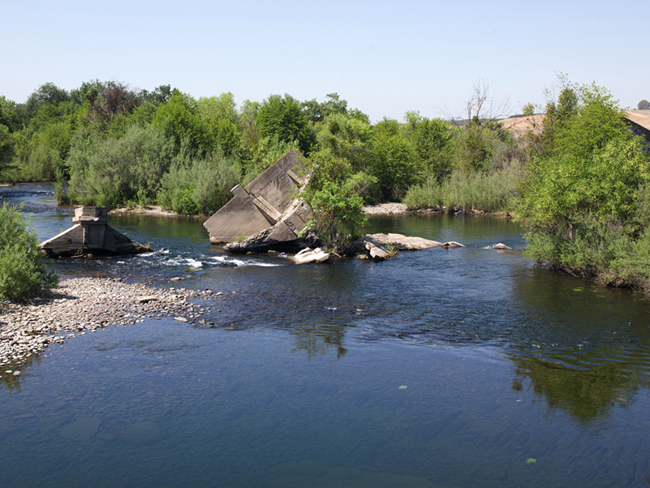 This image of the Merced River is a good example of the least value being the subject. The trees lit with the side light are in the least value and become the subject. The dominate value is mid tone grays and black or the low value is the second. Here is the image in graphic form using the three values. It can be hard at first to see values because we see in color, but keep practicing and it will come naturally to see that way. Shooting with the importance of values really takes a conscious effort, so put on your thinking caps and shoot intentionally! Go out and have some fun and see the value of this technique. If you have any questions feel free to contact me.